If you’re reading this article, we know why you’re here. You’re looking for that most elusive of life skills. The one thing that’s sure to make every day a little bit sunnier. A simple trick that’ll help you shake off the lethargy of the night before and embrace each new morning as a fresh challenge. We also know that you’re probably lying in bed right now, phone in hand, procrastinating your way to another late start. For many people it comes naturally. You know the ones. Always bright and cheerful as the sun rises, arriving early at the office, full of energy at those 9am meetings. For others, it’s a little more difficult. However, reassessing your habits can have numerous benefits on both a professional and a personal level. Becoming a morning person can, in fact, be life-changing. Those who successfully make the switch often report better mental health and wellbeing, increased productivity and concentration levels, and higher energy levels than their (don’t say lazy) night owl counterparts. Perhaps most surprisingly, more restful sleep is also often linked to behavior associated with “morning people”, and there’s a raft of health benefits too. 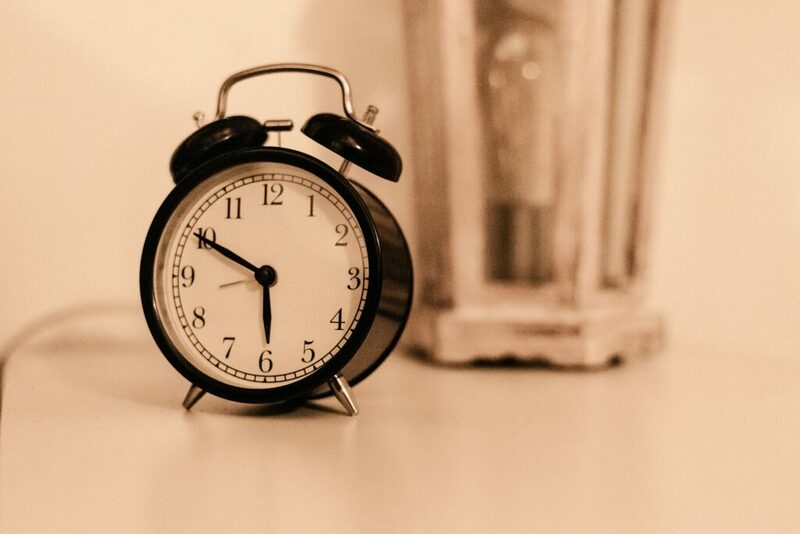 So, if you want to learn how to be more productive in the morning, and inject an extra dose of wellbeing into your daily routine, then take a look at our top tips on how to become a morning person and tame that pesky night owl. Truly productive mornings begin the night before. For most people, waking up with a pile of clothes on the floor and a half-made lunch in the fridge is just part of the daily routine. But it doesn’t have to be this way, and turning that early morning chaos into order is easier than you think. Prepare for your day by organizing your outfit the night before, pack your bag (and your lunch), mark the emails you want to deal with first thing, and set your appointments in your calendar. Mornings have never been so easy. Look, we’re not trying to nag or anything, but the first step to waking up refreshed is to go to bed at a respectable time. Your mother was right. Early to bed, early to rise…..blah, blah, blah. So, the next time you’re considering just one more episode of your favorite supernatural–romcom–slasher series on Netflix, give a thought to how you could be much more productive in the morning instead. Defer that cliff-hanger season finale until tomorrow and make sure you get between seven- and nine-hours shuteye a night. Snoozing your emails is all very well, but snoozing away your day? Forget about it. The longer you lay in bed, the longer you WANT to lay in bed, and hitting that snooze button repeatedly means your day is already off to an inauspicious start. Let’s face it, those extra 10 or 15 minutes never help to make you feel more refreshed, and in fact, they probably have the opposite effect. Lose the snooze button, or buy an alarm clock that doesn’t have one. It’s the only way to break the habit and boost your morning productivity. Morning routines and productivity go hand-in-hand, so it makes sense that you should have a carefully planned course of action that becomes second nature. Whether it’s breakfast first or last, whether you like the taste of toothpaste and orange juice or you’re a little more fastidious about things, whichever way you order your early mornings, a solid routine will make life a whole lot easier. Once you’re in the groove, it’ll make dragging your @$$ out of bed so much easier. Plus, your mind will be free to start planning the most important appointments of your day. Like lunch, for example. If you haven’t already heard, exercise is good for you. Exercising first thing in the morning, however, is basically a super-charged shot of endorphins that will give you boundless energy and make your day glow with a little extra dash of serotonin. You can go for a full work out at the gym, take a run around the block, or even just cycle or walk to work. However, you get your fix, working up a sweat when you wake up is a sure fire way to kickstart morning productivity. If music is the food of love, then let’s get breakfast! There’s nothing quite like putting on your favorite tracks first thing in the morning to give yourself a little extra motivation. Science has proved it. So, there’s no excuse not to build a playlist designed to give you a boost in the morning. Just remember, it’s probably best to rock your headphones. Your neighbors might not appreciate being blasted awake by the Black Eyed Peas at 6am.